Half power with lithium batteries after 5-8 minutes? 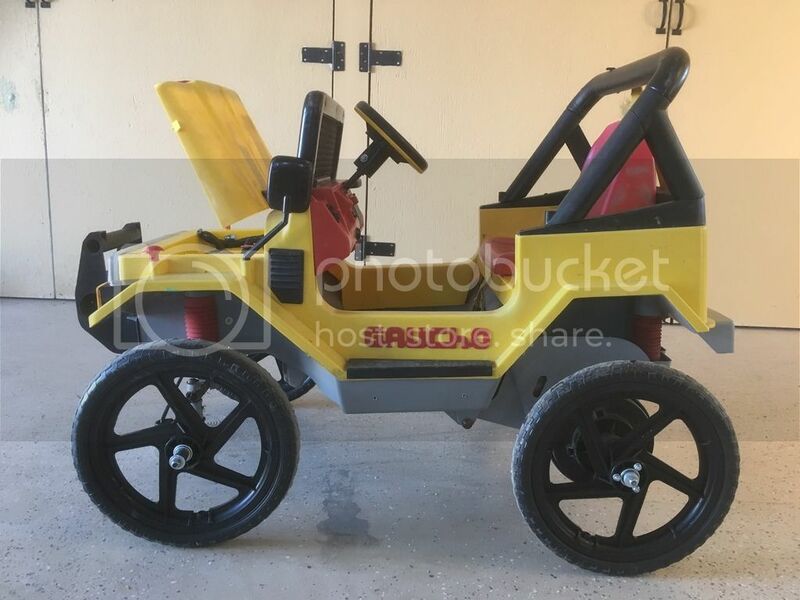 I've got a 250w 24vc scooter controller and a 24v 6ah Lipo battery I'm using in an older Peg Gaucho. It was stock 12v. I'm using a 5v throttle and was able to retain the stock high/low/reverse. Long story short...the thing rips when you drive it for the first time. But after about 5 minutes of continuous use, its starts to slow down...and then after 7-8 minutes its only able to go about half the speed it was when it start. The battery gauge on the lithium batteries (Batteries have their own BMS) show still 3/4 full...and there is no way they would have lost half their voltage. I'm thinking that either the controller is overheating (is that even possible?, or would it just quit working if it overheated) or the motors are getting heat soaked. I've seen some guys run heat sinks for the motors...is this why? First I thought it was the batteries, but I had a second 24v 10ah battery (totally different brand) that I tried and same results...so it leads me to believe its the motor or the controller. Need advice so I know how to fix. Thanks!!! The older Gauchos came with 12vdc 230w motors and later Gauchos with 12vdc 175w motors. If you have an older Gaucho then running 24v you have the potential to draw 920watts. That 24v 250w controller is way to small. Also a 24v 6ah battery is small. Most people run a couple of 12v 12ah batteries for 24v 12ah. That gets you about 45 minutes to an hour of riding. Lol. Ok good to know. Its this one ... can you tell if its the older one or newer one? I will get a better controller...can I get a 48v 1000w controller and use the 24v battery with it? I don't recall seeing any 24v high power controllers. That's a Gaucho Grande with the 12v 175w motors. You can't use the 48v controller with 24v because they have a low voltage cutoff. Good to know. I'd imagine the 230w motors have more power? Are the gears, etc. also stronger with 230w motors? Link you sent is fantastic. Thank you. I'm tempted with the 24v-60v controller...but at 24v its only good for 700w. With my 175w motors that should be right on...or should i go over on the wattage rating? The old 230w motors are faster but the later 175w motors have better cooling fans built in. The gearboxes are the same ratio and design for all year Gauchos. the math says 700w max at 24v that will be pushing the motors pretty hard so really no need to go bigger on the ESC than 700w. You may even need cooling fins or fans if the motors run hot on 24v. I've been wanting to get cooling fins, but don't know what ones will fit this motor. Can you provide a link? Check eBay, I think peg uses 770 size. Some sell just heat sinks, others sell heat sinks with one or two fans. Remember, although there's fans on the motors, you still need fresh air in, and out. Your motor fans are simply to circulate that fresh to and through the motors! Cool Thanks. I'll have a look. Just curious...am I able to use a brushless controller with the peg motors? I found a brushless controller from a friend but not sure if it will work? The brushless controller won't work. I'm having a hard time finding the cooling fins for my motor...any suggestions what vendors might have them? Old message revival...but I never found any cooling fins for my 175w gaucho motor. Can anyone post a link to something on ebay/amazon? I can't find any. Think you could DIY something from a soda can or other sheet aluminum? Mfr's and pros have all told me that attempting to cool a brushed motor from outside the case is ineffective. One told me that it is like trying to cool a closed oven with a fan. The reason a brushed motor will melt down and fail is from overheating and overheating occurs when the motor is overvolted and or experiences too much amp throughput either from using the on/off factory setup on 24v, overloading, etc. Basically the motor is not 100% efficient and any inefficiency is lost through heat so the more power you put out the more heat that is generated then if you have a bad setup like the factory on/off garbage you will generate tons of heat. Those mfr's and pros then told me that the solution is to either use a larger more suitable motor (775 in our case) that will not produce as much heat or reduce the work load by reducing the load (reducing weight or usage on hills for example) or start up demand with an ESC. Some think that not only are the heatsink/fan solutions ineffective but can actually add to the problem! Heatsinks can create an insulating effect and external fans can reduce or eliminate the airflow of the internal fans! Have you ever seen a brushed motor mfr release a motor with a heatsink or external fan? I have not. ... well maybe there is a reason for that. Huge multi million dollar companies with actual engineers who know things and test everything have apparently come to the conclusion that they are not a worth while solution. Well then why do they sell heat sinks and fans as an addon you may ask?? Because there are a large group of consumers that think this is a wise and worthy investment so why not cash in, right? Just add it to the long list of gimmicks for sale out there in the world. wesleyb82 wrote: Have you ever seen a brushed motor mfr release a motor with a heatsink or external fan? I have not. ... well maybe there is a reason for that. The reason is they expect you to buy the motor that you need. Easy way to tell if the heat sink does anything or not would be to run your car with and without one and check the motors with a laser temp gun. If you guys really loved your kids you would pack the motors in dry ice on every ride. "I'm not nuts, I prefer to be called an enthusiast! " "I've stood on the shoulders of geniuses, and taken the next step..."